The Consumer Code originally came into force on the 1st April 2010 and was updated on 1st April 2017. 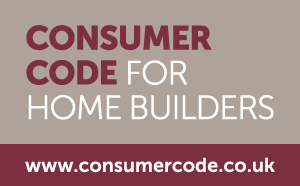 It sets mandatory requirements that all Home Builders registered with the NHBC must meet in their marketing and selling of Homes and their aftersales customer service. Know what service levels to expect. Are given reliable information upon which to make their decisions.